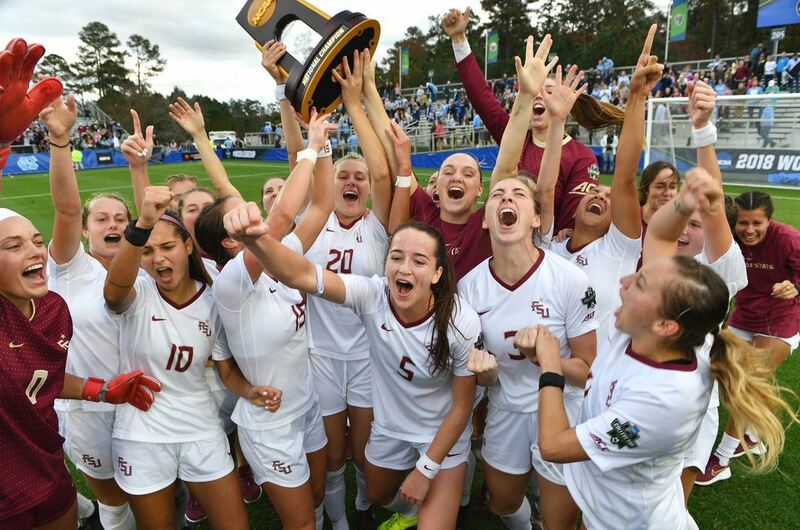 For the second time in five years, Florida State soccer hoisted women’s soccer’s ultimate prize on Sunday with a thrilling 1-0 victory over North Carolina for the national championship. 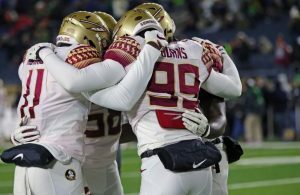 FSU capped its magical season with an improbable run that concluded with nine straight victories. 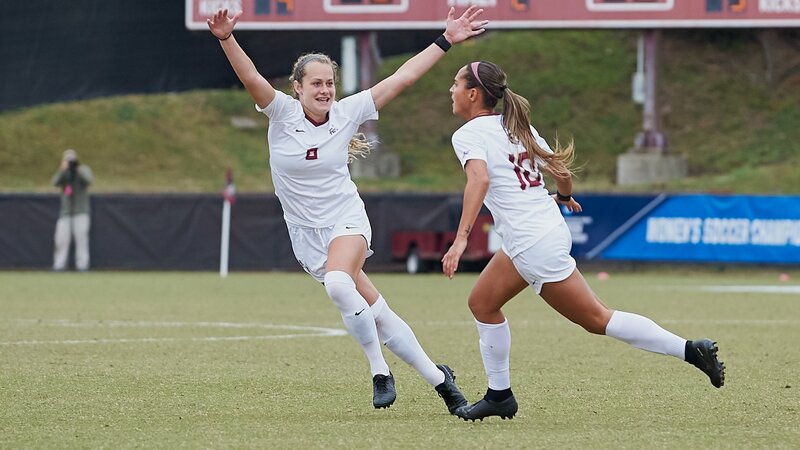 Dallas Dorosy scored the lone goal on Sunday against the Tar Heels in the 60th minute to give the Seminoles the goal they needed in Cary, North Carolina for their first national title since 2014. For those who watched Florida State in the non-conference, hoisting a national championship trophy seemed like a reality from the get-go. Against a tough slate of opponents, the Seminoles went through the non-conference slate virtually unscathed at 7-0-1. The only contest that didn’t result in a win was a scoreless draw against USC in Tallahassee on Aug. 31. In that one, FSU dominated with 18 total shots to six for USC, but neither team could find the back of the net. The non-conference saw the Seminoles win by way of shutout on six occasions in addition to a 4-1 win over a then top-5 UCLA team. FSU was rolling with leading scorer Deyna Castellanos and eventual ACC Freshman of the Year Yujie Zhao leading the charge. 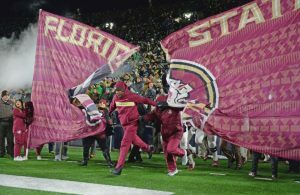 As ACC play rolled around, FSU had ascended to No. 2 in the polls. Florida State had the look of a national champion contender during the non-conference, but ACC play would leave much to be desired. Losing 1-0 to North Carolina in the conference opener was hardly a shock, but FSU would finish just 5-4-1 against the ACC during the regular season. Those contests included a 1-0 loss to Clemson in which FSU finished with 24 shots to two for the Tigers, a Senior Day draw to NC State in which FSU allowed the tying goal in the 90th minute and a 1-0 loss to Miami in which the Hurricanes scored on their only shot of the game. By the time all was said and done, FSU entered the ACC Tournament as the No. 7 seed. As the seventh seed in the ACC, FSU was forced to open the conference tournament on the road against second-seeded Duke. Having to play in Durham proved to be no problem as the Seminoles got a goal from Kristen McFarland in the 23rd minute and shut down the Blue Devils the rest of the way in a 1-0 victory. 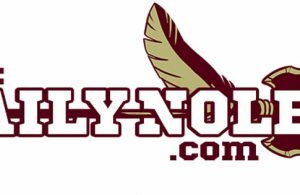 As the conference tourney scene shifted from campuses to Cary, North Carolina, the Seminoles seemed to find their their stride. Against third-seeded Virginia, FSU overcame an early 1-0 deficit to win 3-1 with three second-half goals coming within a 32-minute span. Two of those goals came from Castellanos as FSU advanced to the final. After beating the No. 2 and No 3 seeds in the ACC Tournament, top-seeded North Carolina was all that stood between FSU and a fifth ACC title in six years. It was North Carolina that snapped FSU’s streak of four straight titles the year prior. Early on, it would appear that revenge would be sweet as the Seminoles built a 2-0 halftime lead on a pair of goals by Dorosy. The tide seemed to turn when redshirt freshman goalkeeper Brooke Bollinger came down awkwardly on her shoulder, forcing FSU to turn to East Carolina transfer and redshirt junior Caroline Jeffers in the 62nd minute. It took North Carolina less than 10 minutes to draw even against Jeffers as Alex Kimball and Ru Mucherera each came up with goals to even the match. But in the 84th minute, the FSU offense struck again with Dorosy aiding in the charge. After scoring two goals earlier in the contest, Dorosy assisted on Kristina Lynch’s game-winner, which was the difference in a 3-2 victory. Beating the top three seeds in the ACC in eight days to become the first No. 7 seed to win the conference helped FSU earn a No. 1 seed in the NCAA Tournament, but with Bollinger out, a College Cup appearance was hardly a sure thing. When all was said and done, Jeffers would be the unlikely hero. The NCAA Tournament began quite similarly to the ACC Tournament for FSU. After a 1-0 win over Loyola-Chicago to get things started, FSU overcame an early 1-0 deficit against South Florida with three straight goals from Dorosy, Zhao and Gloria Villalobos. That led FSU to a rematch with USC in Tallahassee and for the first time since the ACC semifinals, the Seminoles trailed in the second half after the Women of Troy broke through in the 37th minute on a goal by Penelope Hocking. Dorosy continued her postseason stardom with a goal in the 65th minute to draw the Seminoles even. After two scoreless overtime periods, the contest would be decided by penalty kicks. After the teams each connected on their first four shots, Jeffers changed the match with a diving stop of a Leah Pruitt shot before Zhao ended it for FSU. The next match against Penn State ended in a 1-0 victory for the Seminoles as Castellanos scored in the 53rd minute. For the first time since 2015, FSU was bound for the College Cup. Florida State opened the College Cup last Friday with a contest against No. 1 Stanford. The Cardinal ended FSU’s season the year before in the round of 16 and entered the contest in Cary on a 45-match unbeaten streak. Entering the contest, Stanford had trailed for less than eight minutes the entire season. In the 29th minute, an unlikely source for FSU made it clear that extending the streak to 46 matches would not be so easy. The Seminoles drew first blood on the first goal of the season from Gabby Carle, who sneaked her shot through multiple defenders and into the net. More than 13 minutes later, Malia Berkely found the net for the first time all season on a shot that bounced off the hands of Stanford goalkeeper Alison Jahansouz and into the back of the net. Stanford managed just one shot on the night and that was saved by Jeffers on an outstanding leaping stop. When all was said and done, the Seminoles were 2-0 victors and the streak for the defending national champion Cardinal was over. The finale was a de facto rubber match between FSU and North Carolina for all the marbles. Entering the match, the Tar Heels were 21-3 all-time in national championship matches. After a scoreless first half, Castellanos got her second assist in as many matches in the 60th minute on a beautiful pass that Dorosy, FSU’s postseason hero, managed to slide into, get a foot on and send to the net. Jeffers would finish with two saves to preserve the shutout and the national title. The season would conclude as one for the ages for Florida State. From the No. 7 seed in the ACC Tournament to national champions, the Seminoles completed an improbable run and gave the athletic department its second national championship in less than six months. Three players — Castellanos, Zhao and defender Natalia Kuikka — all earned All-American honors, but the championship run was a complete team effort. 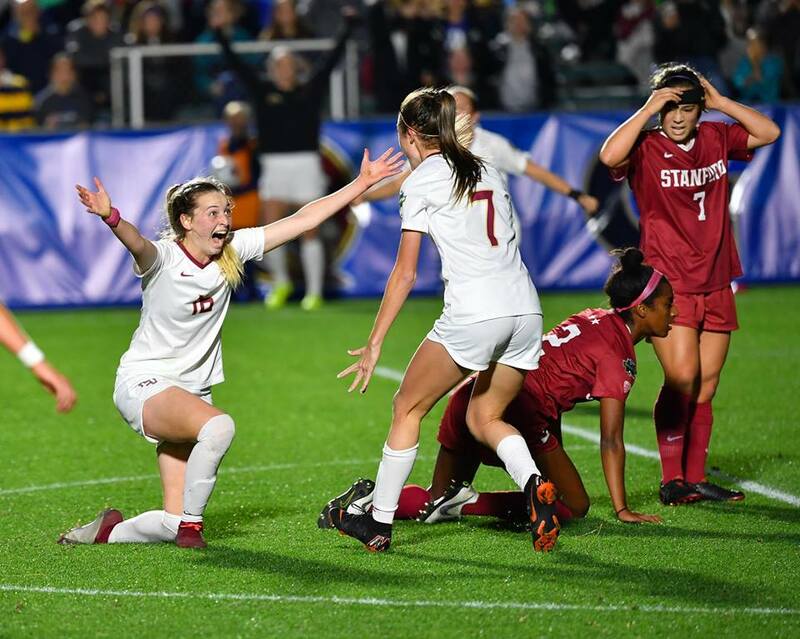 Carle and Berkely scored their only goals of the season in a monumental upset of reigning national champion Stanford while Dorosy finished with five goals from the ACC Championship on after compiling just two in the first 20 matches. Perhaps most remarkably is that the Seminoles ran the NCAA Tournament table with a backup goalkeeper. Jeffers would finish 7-0-1 on the season. Throughout the tournament, FSU completed four shutouts and of its 20 wins on the year, 15 were shutouts. With the odds seemingly stacked against FSU, the Seminoles capped their title run by knocking off a pair of No. 1 seeds, which consisted of a team on a 45-match unbeaten streak and the most storied program in women’s college soccer history. In case he hadn’t already, it’s safe to say that 14th-year head coach Mark Krikorian has cemented his place in the athletic department’s Hall of Fame.